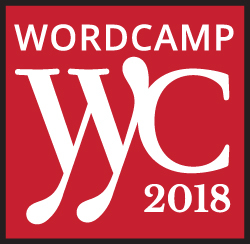 WordCamp YYC 2018 is fast approaching!!! WordCamp Calgary is an annual event organized by volunteers in and around the city’s WordPress community. If you are a business owner with a WordPress site, in the web design/development industry, or thinking about updating or revamping your blog or website… this is a great opportunity to meet like-minded people and grow your knowledge! GAIN KNOWLEDGE TO HELP YOUR BRAND THRIVE! + many more! See the schedule HERE! A Site Clinic where you can submit your website for critique and learn ways you can improve things like performance speed and SEO. 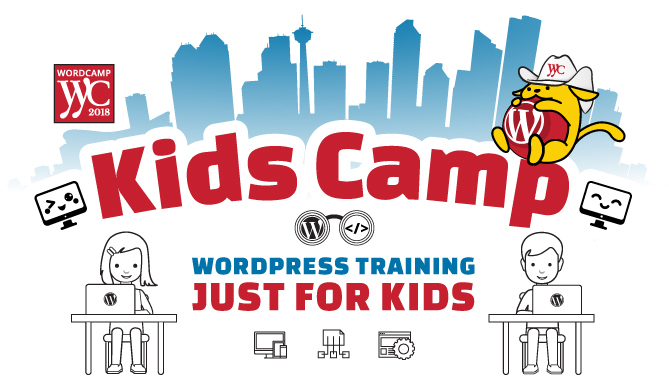 For the first time in Calgary there will be a KidsCamp workshop where Tech Trainer extraordinaire, Christina Workman will be teaching the kids how to create their own WordPress blog or website! All kids who attend get FREE lunch and take-home swag (including a fun t-shirt & colouring sheet designed by yours truly) – and kids are only $10! Learn more HERE. Being an organizer and sponsor for the second year, I may be a little biased, but I have to tell you that it’s a great community of passionate and talented people, plus attendees are sure to gain a TON of knowledge that you can apply to your business. Does your company’s image and messaging resonate with your audience? Download this FREE Worksheet – the perfect tool to help tailor your brand and make a powerful impact!